Remember that time we did Whole30 for 5 days? It’s but a distant memory, yet we keep coming back to some of the recipes that we tried and loved that week. (To be fair, I had already meal prepped most of the following week, so we were pretty compliant for closer to ten days!) 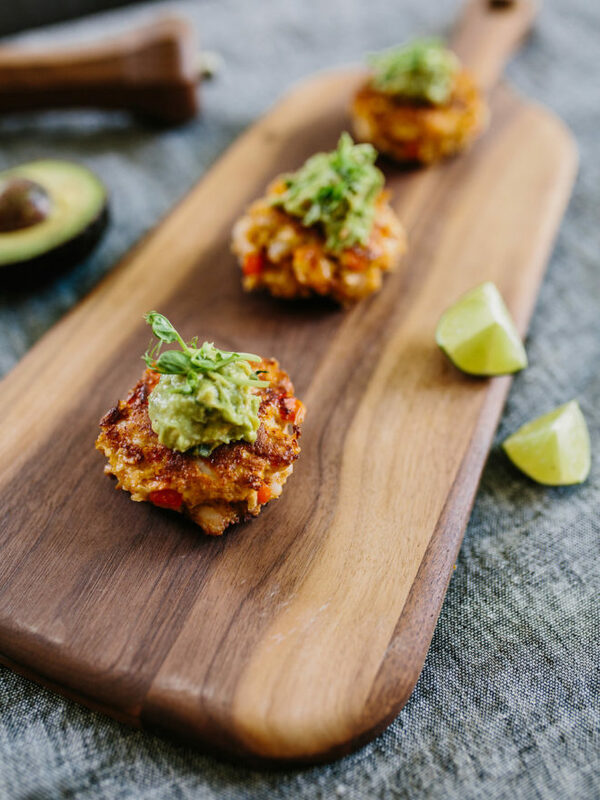 This shrimp cake recipe is one of the gems that I came up with in the process and Aaron’s been begging for me to make them again. They’re relatively easy to pull together, cook quickly, and make for a really yummy lunch when re-heated the next day. 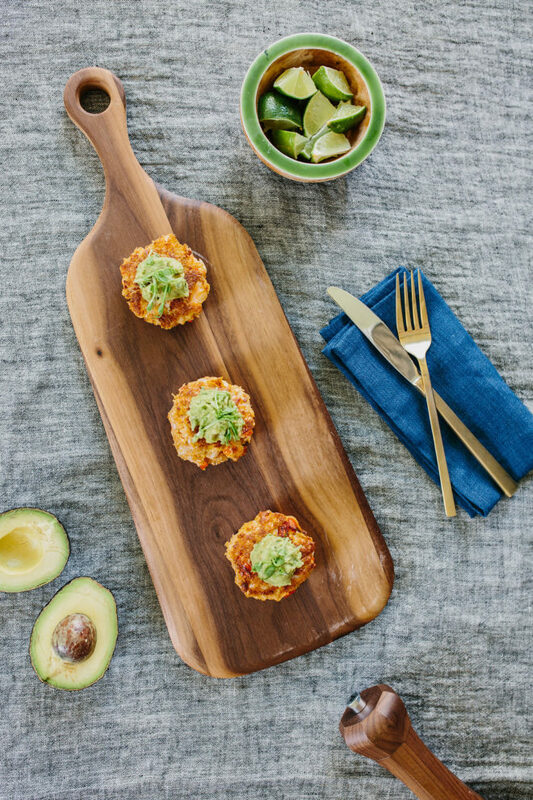 Plus, who doesn’t love pineapple guacamole?! 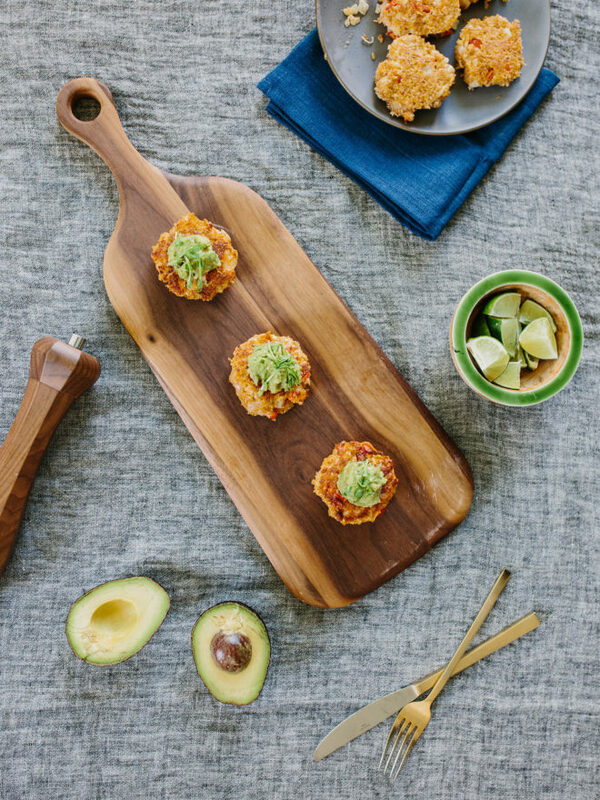 You could make mini versions for a satisfying and healthy appetizer or two of these entree-sized shrimp cakes definitely qualify as dinner. 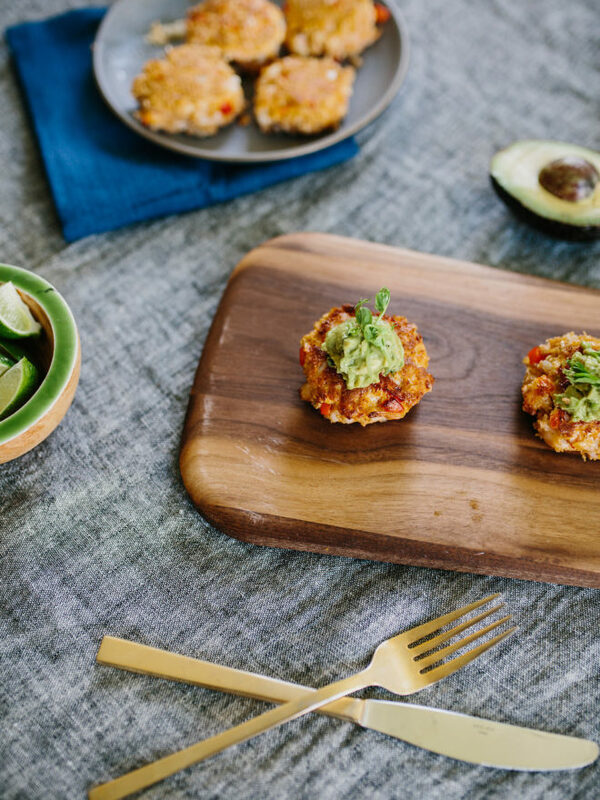 For the shrimp cakes, combine all ingredients (except the avocado oil) in a large bowl and mix well. Depending on the consistency you might want to add an additional Tbsp or two of the almond meal to bind together the wet ingredients. 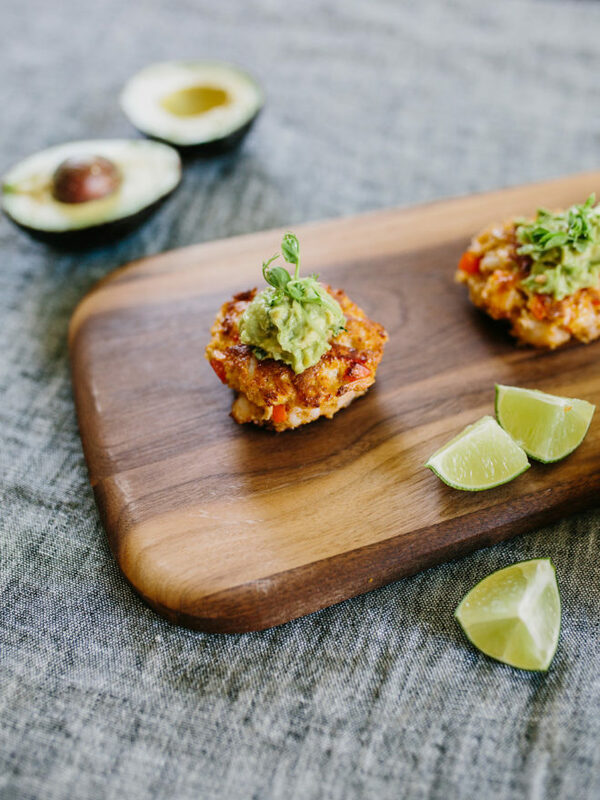 While the shrimp cakes are chilling, make your pineapple guacamole by combining all ingredients by hand in a medium sized bowl. Cover and refrigerate until ready to serve. To cook the shrimp cakes, place a sauté pan over medium heat and add 2 Tbsp. avocado oil. Once the oil is hot, add three shrimp cakes and cook for about 2-3 minutes until the bottoms have become golden and crispy. Flip the cakes and cook another few minutes until the second side is also golden and crispy and the shrimp is cooked to pink. These look delicious! I thin I’m going to make them for dinner tomorrow. I would make them tonight but I have ballet and need to eat by 5. P.S. Thanks for liking my Instagram post! Did you end up making them? Would love to know how you liked them! These sound SO good! Love that they’re nice and light for the heat! Totally! 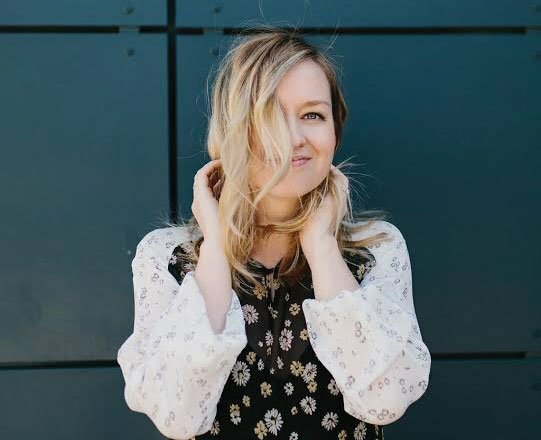 We are loving them for summer!